Take the first step toward building your channel into a business. Create a business framework and decide what business structure is right for you. As you devote more time to your YouTube channel, understanding basic business can help you decide where to focus your efforts and plan for future growth. First, let’s look at the idea of your channel as a business. You already may be familiar with the parallels between running a business and a YouTube channel. For example, you want your channel to attract new visitors and get previous visitors to come back—much like a business wants to grow its customer base. Why does your channel exist? This is the reason you started on YouTube. What do you deliver? This is your product—the content you create. What more could you do with your channel? This could be your roadmap. Define your values and purpose. What’s important to you? Consider the bigger picture and what motivates you to engage with the world. Set goals for your channel and overall business. What do you want to accomplish? Summarize your goals in a mission statement that guides you. 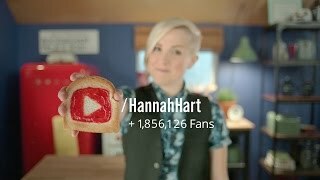 Hannah started her channel by accident with her first video that led to “My Drunk Kitchen.” Now, her larger portfolio is called “Harto” and it’s not just a YouTube channel anymore. 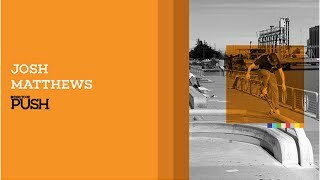 The Berrics put their mission “Push the future” into action with their channel that highlights the skateboarding community, celebrating “our will to skate and our will to survive." Now that you’ve thought holistically about your channel mission and where you want to go in the future, it’s time to put those aspirations into action. Try using this framework that is commonly taught in business schools. What do you do? With your channel mission in mind, consider your value proposition. What makes your content and channel special (unique from others in the same category)? Who do you reach? Your “customer segments” are the viewers you’re targeting. Think about their location, gender, and age. Beyond that, what events or moments are important to them? How do you reach them? This includes your YouTube channel, plus other distribution channels such as a website, blog, other social media, etc. How do you interact? Your customer relationships are all the touchpoints with your viewers, from your initial “marketing” (e.g., channel trailer) to ongoing “support” (e.g., Community posts). How much will you make? Your revenue stream may come from advertising as well as other sources such as merchandise, Super Chat, crowdfunding, brand deals, events, etc. What will it cost? On the flip side, your costs reflect everything you spend to operate your business. To make a profit, the amount you make (your revenue) must exceed your total costs. What do you need? Your resources can be physical (equipment, location), intellectual (ideas, branding), and financial (funds that go toward your content and channel). How do you do it? Your activities transform your resources into a product. For content, this typically includes planning, producing, editing, and the tasks for running your channel. Who will help you?The last building block covers the key partners who help you conduct your business. Examples include multi-channel networks or talent management agencies. Remember to stay flexible and revisit this framework from time to time. Your channel—and the market—most likely will evolve, so you’ll want to adjust your strategies accordingly. 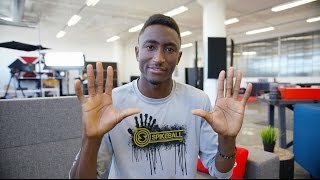 Marques Brownlee (MKBHD) answers questions from his fans. He explains how he started his tech reviews in high school making videos about buying a laptop. Adriene from Yoga with Adriene emphasizes how being your true self and knowing your audience are key ingredients to creating a successful channel. In many cases, creators decide to set up a formal business entity to help them organize and expand their operations. What is the main focus of your business? Could this change? How many people will you have as employees or contractors? Do you think you’ll need to bring in investors or partners at a later stage? Sole Proprietorship. This is the simplest structure. The sole proprietor is the individual who owns the business and is responsible for its debts. Typically, you choose a trade name and secure a local license to get started. Partnership. This is similar to above, but consists of two or more people who run the business. Limited Liability Company (LLC). This type of structure allows LLC owners to protect their personal assets while reporting their earnings on their individual tax returns. The rules for forming an LLC may vary based on your state. Corporation. This is the most formal type of business. You are required to maintain corporate paperwork (minutes, bylaws, etc.). An “S Corporation” allows shareholders to avoid double taxation on their corporate income. How you set up your business can have legal and financial implications (such as filing taxes). You may want to consult with a lawyer and/or accountant to determine which structure best suits your needs. When assessing your options, remember to consider your future direction and business priorities.